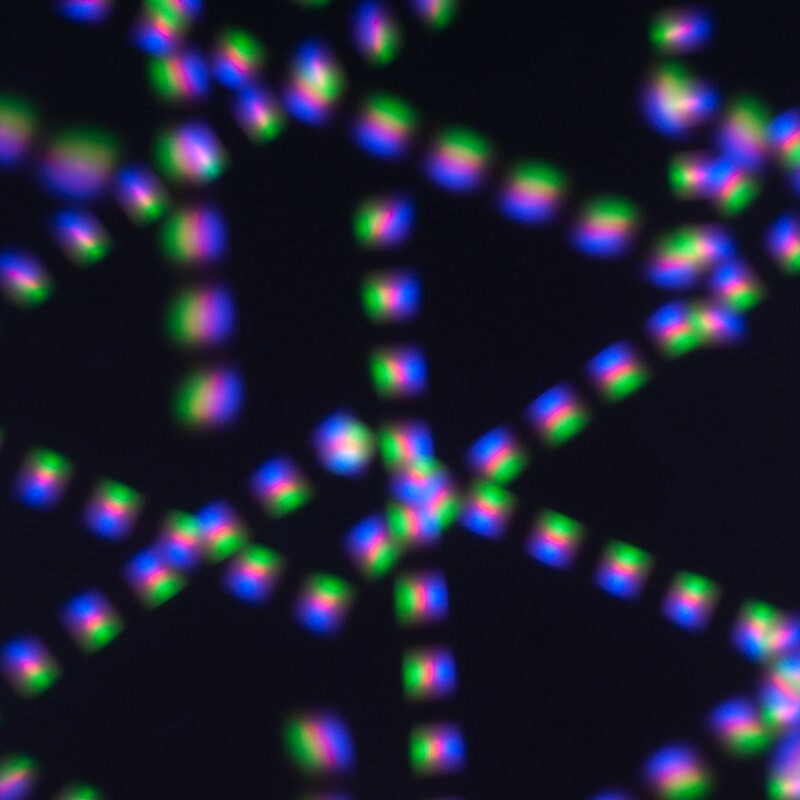 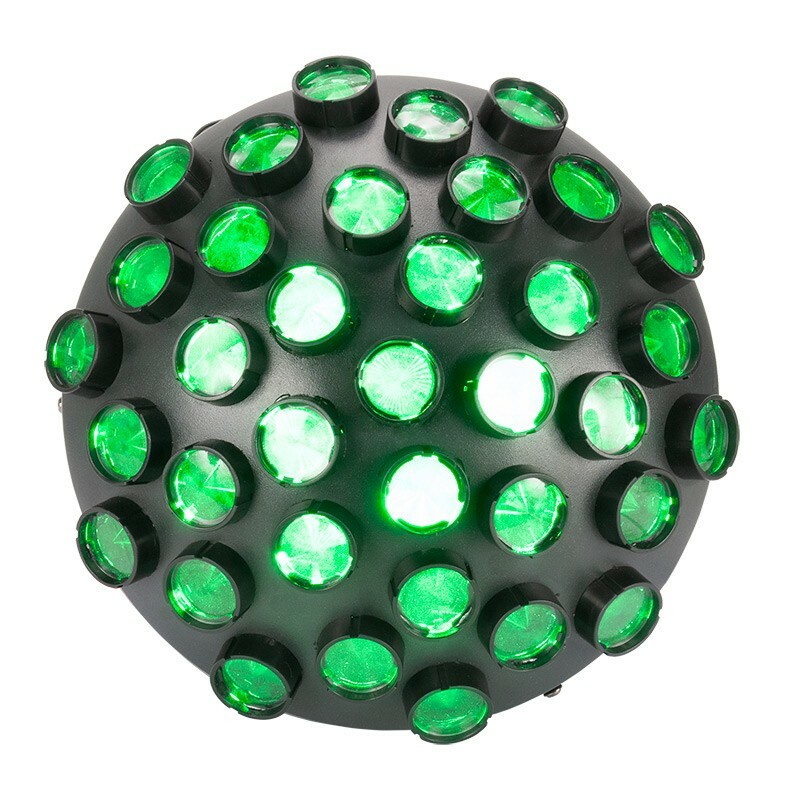 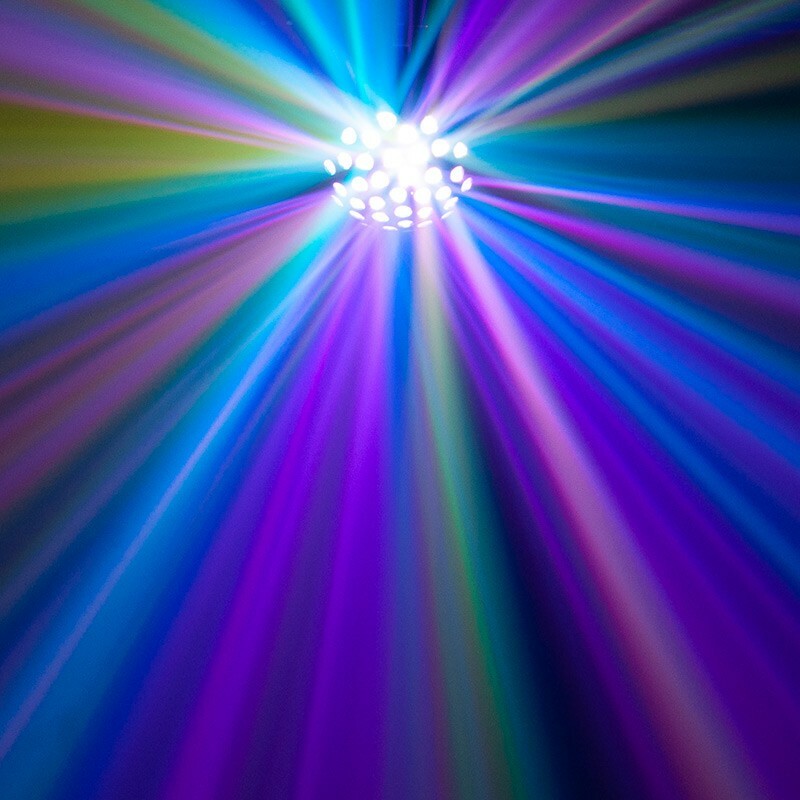 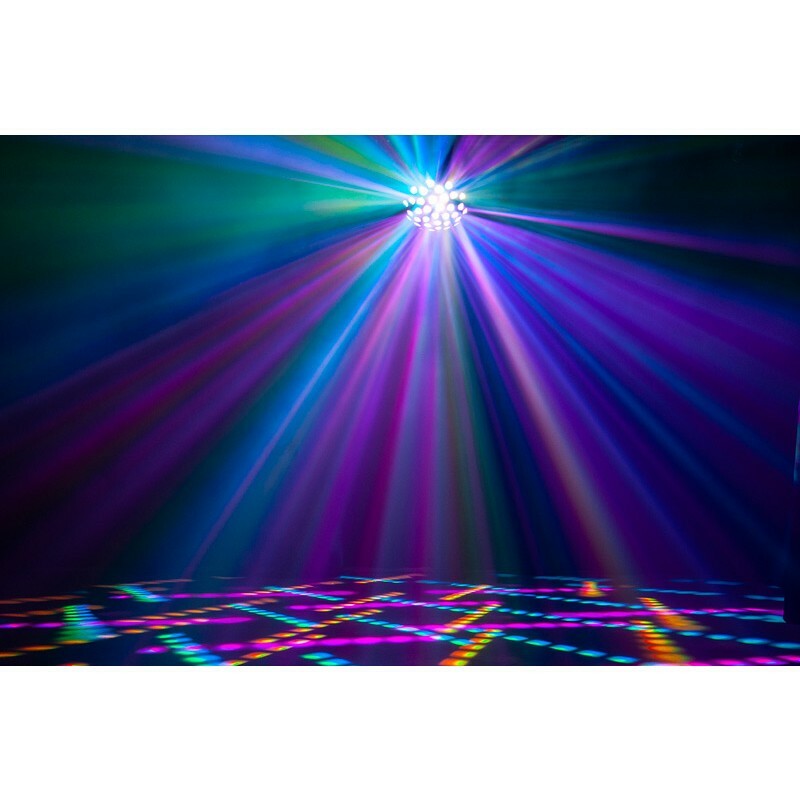 The Startec Contour is a modern mirror ball effect with multi-colored beams that crisscross back and forth at different speeds similar to a classic “fan style” effect. 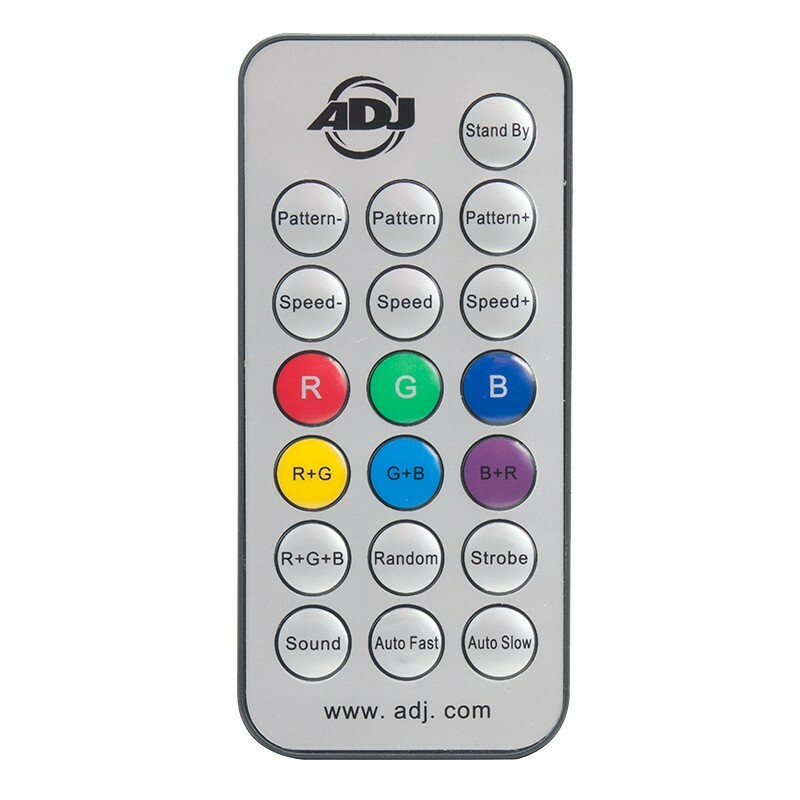 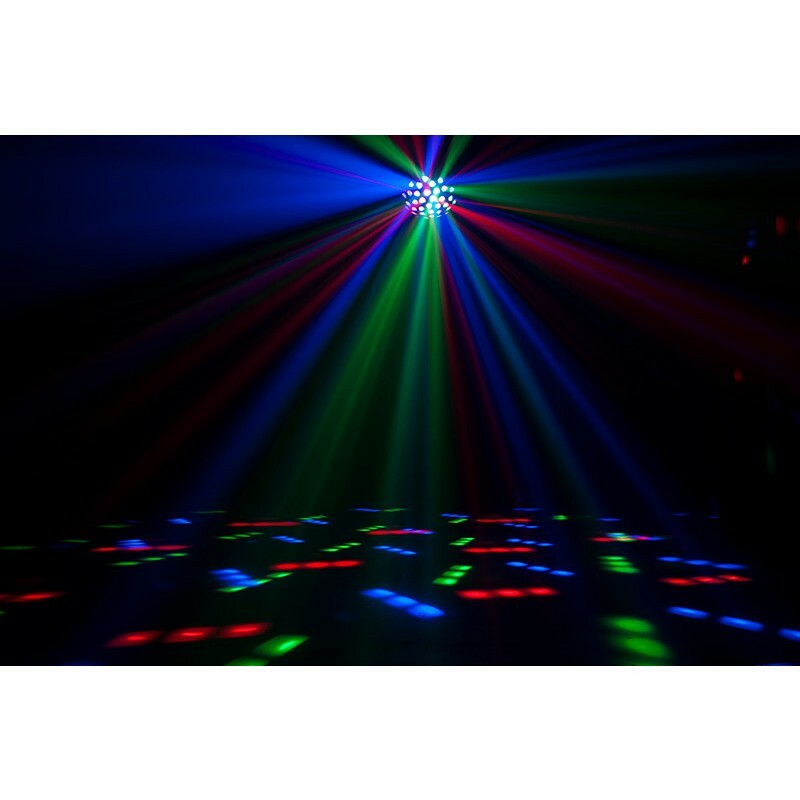 It’s great for projecting on dance floors, walls or ceilings and is designed for mobile entertainers, small clubs and bars, lounges, roller rinks, bowling centers and entertainment centers. 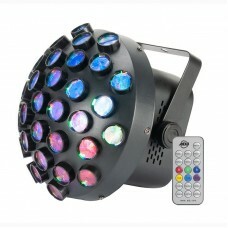 It produces exciting effects with or without fog. • Weight: 5 lbs. 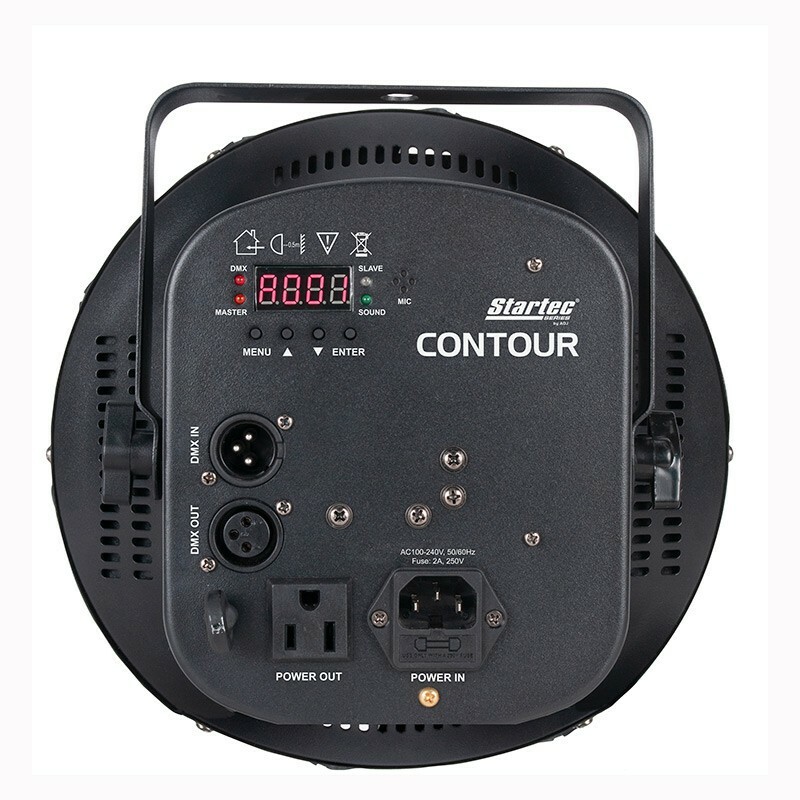 / 2.3kg.